WFA is justifiably proud of its reputation with local youngsters and their parents. Here is just a handful of the many positive comments that we have received. I just came back from football at Wilmslow Prep School and thought I would send a quick email to let you know what a good job your coaches are doing. I am sure you know this more than most, but always nice to hear it I expect. Your coaches were around after the training and are always more than happy to chat to parents. I mentioned to one of them that the smaller boys did less skills training than the older ones and he explained to me he was working on space awareness and he had split the pitch into 2 sides and you had to stay on your own side (I am sure you know what I mean), and that for the younger age group this is a really good skill to have. The passing and other stuff can come later but awareness of space (rather than all the kids chasing the ball all over the pitch) is a great thing to teach this age group. This completely made sense to me and once again I can rest assured knowing that you and your lads are brilliant. This is the great thing about WFA, we can always talk to you and the coaches about anything… football, training, best place for a decent night out, hangover cures, etc. We absolutely love WFA and all the coaches, keep up the good work. My son loves his football and we have recently moved into the area. In the past 6 months we have tried several coaching organisations locally but felt uneasy about the quality of coaching and the lack of attention we were receiving. Some friends recommended WFA to us and we checked them out. I have to say they are amazing! 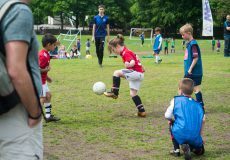 They offer a wide range of sessions both on Saturday mornings and in the evennings and the standard of coaching is excellent. Erik and his team can’t do enough to make us feel welcome and that helped settle my son in perfectly. He has blossomed since starting at WFA and now plays for one of their JJB teams where he spotted by a scout from Man United! It’s helped his confidence and he’s made loads of new friends. We know we made the right decision taking him to WFA and can’t speak highly enough about their care and attention. We booked a WFA party for my son two years running! Max had an excellent time at the party. It was very well organized and the coach was excellent with the boys. The facilities at the club are perfect – just what we want for a group of 10 year old boys! The party is a good price too – it seems great value when we get to use the club house facilities too. The kids went home saying that they loved the party and want one of their own! Thanks again Erik and we will see you on Saturday at Pownall! Thanks again to WFA and Callum in particular. 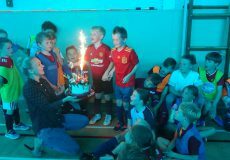 Harry had an amazing football party at Wilmslow Prep Sports Hall – we have received many thanks from the mums to as the boys all had a great time too! Harry even took his trophy into show-and-tell yesterday! Matthew’s confidence and ability grew as a result of attending Wilmslow Football Academy. 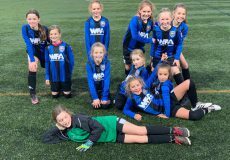 I think this is due to the friendly atmosphere of the training sessions and the placement of the children into teams of comparable quality and skills. The sessions were relaxed and fun with the required amount of discipline to keep things under control. The children were constantly praised and encouraged under an environment where they were allowed to develop at their own pace. 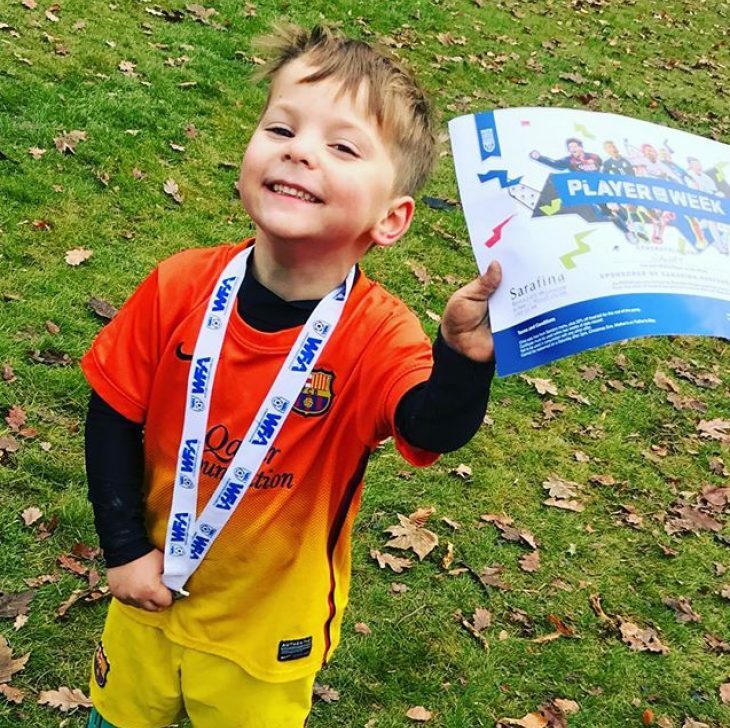 The look of delight on Matthew’s face when at one of the training sessions he was selected as player of the week and I as a parent was very proud of him and I think the reward he received for his efforts certainly spurred him on even more. I would just like to say that our whole family absolutely loves WFA. The atmosphere and the standard of coaching on a Saturday morning at Pownall is fantastic. Brad can’t wait to go every week. He is up at 6am, dressed and ready to go. He has made so many new friends and he loves the coaches! We have tried a couple of other football schools in the area but none of them even come close to WFA. Everyone looks so happy and you are made to feel so welcome. Brad used to be so shy but thanks to the lads at WFA he has found the confidence to develop himself as a person and a footballer. Keep up the good work everyone at WFA!